The Taiwanese tech firm Acer recently upped the game in the laptop market by unveiling the first curved-screen laptop at the IFA electronics convention in Berlin. Although curved-screen technology has already found great success for the likes of Samsung through their range of curved monitors, it represents a big step up for Acer as they seek to capitalise on their strong reputation for providing some of the best gaming computers currently out there. The Predator 21 X won’t be released until the first part of 2017, but it’s already become a big talking point due to an array of features that’ll see it forming strong competition for the highly-anticipated Macbook Pro 2016. The 21-inch curved screen is perhaps the most instantly arresting feature of the Predator 21 X with its 2560 x 1080 IPS matte display providing some intense visuals, yet helping the machine weigh in at a very hefty 8 kg! But it’s what’s under the hood that’s really got gamers really excited. 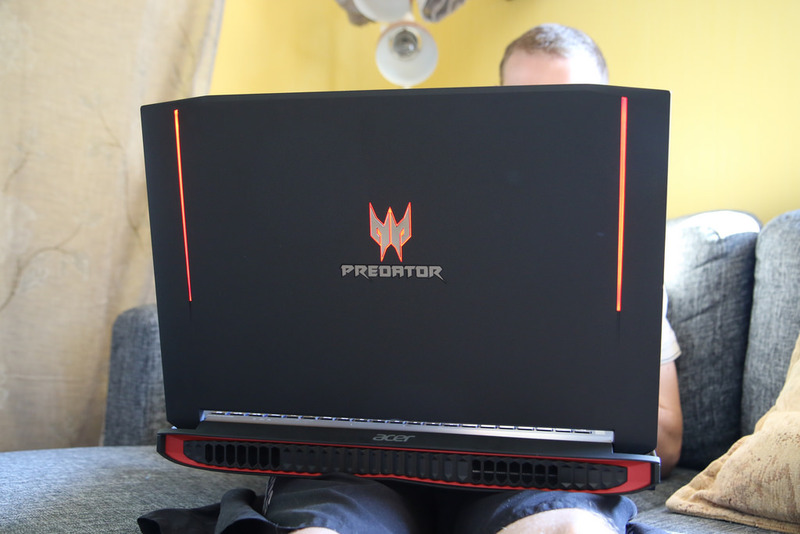 The brand’s Predator G6 desktop computers were packed with power and features that made them perfect gaming devices, and that’s the thinking behind the Predator 21 X that comes equipped with a pretty phenomenal two GeForceGTX 1080 GPUs that require no less than five cooling fans to keep everything running smoothly. With space for four terabytes of storage and a 7th-generation Intel Core K-series processor, it might not be the most consumer-friendly product, but as an eye-catching gamer’s device to get the tech portals talking, it’s hard to beat. This is especially so as the Predator 21 X comes with the latest Scalable Link Interface software to make the laptop virtual-reality compatible. Such technology will invariably make the device a go-to for gamers seeking a slightly more portable way to make the most of their Oculus Rift headsets. But even back down on Earth some of our more traditional games will be given a boost thanks to the laptop’s innovative Tobii eye-tracking feature. So whether you’re building a new world in Minecraft or even checking out how the online roulette at Lucky Nugget Casino would feel when powered by your eyes, it’s definitely worth a go on this groundbreaking gaming device. Although the price of the Predator 21 X is still to be announced, it won’t come in cheap as each device will be made for order. But with plenty of other fascinating features including an advanced mechanical keyboard, a 4.2 sound system and even a number pad that flips over to be a fully functional touchpad, it shows that whether you’re into online roulette or advanced battle arena games, this is truly a phenomenal gaming laptop!